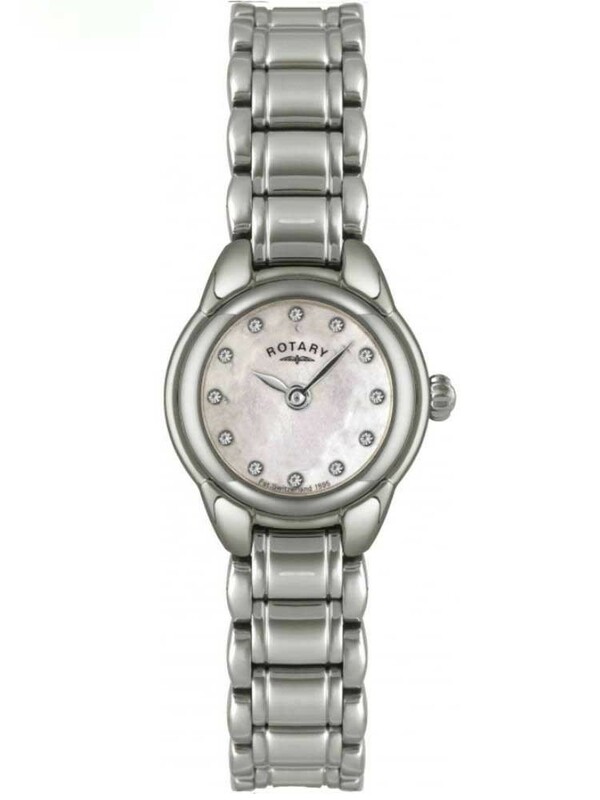 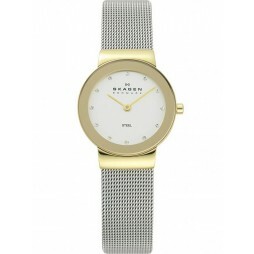 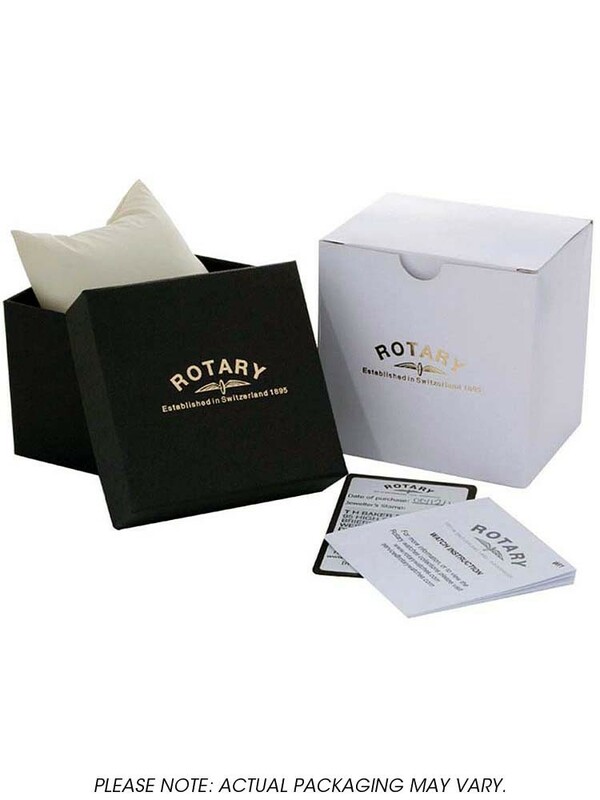 This stylish ladies stainless steel watch from Rotary has a jewellery clasp fastening. 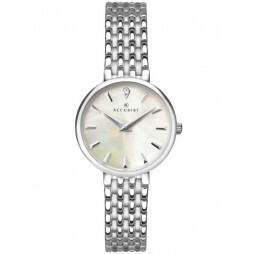 The round casing houses the Mother of Pearl dial. 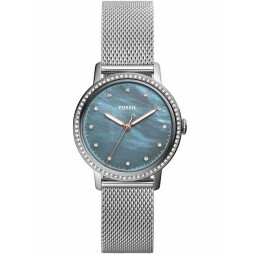 Each hour is marked by a single sparkling stone.